Painting in oils and coldwax. 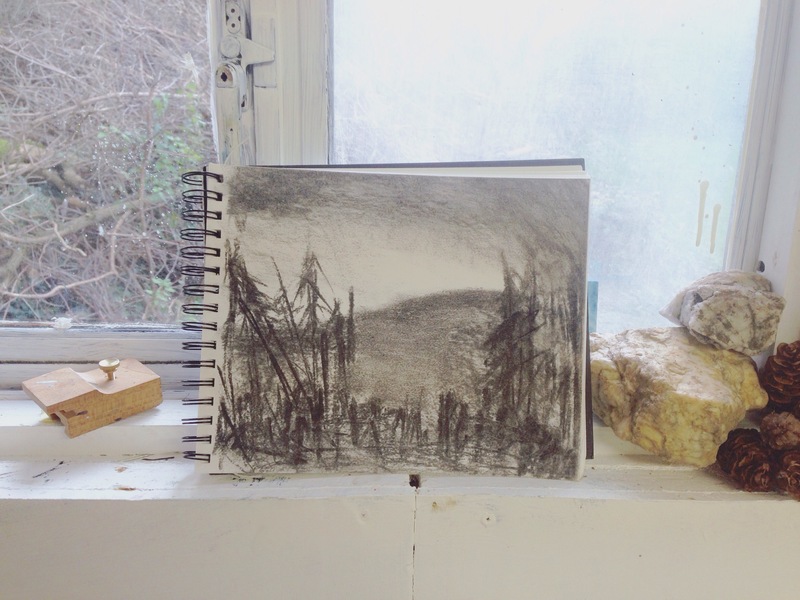 Mixed with drawing and mark making in charcoal and pencil. Full moon was on my mind at the time of making this painting and I was very much affected by a recent full moon at the time of when this came work about. I have been doing a lot of plein air drawings lately out in the open landscape. I want express through these drawings a sense of atmosphere in the landscape I have been surrounded by. I am abstracting what I see and also what I don’t see. I am really enjoying expression in an abstract way through these drawings. Transferring this onto canvas is a very different experience and I see the drawings more of a study or observation for painting but in a non analytical way, similar to visual note taking of what I want to express on canvas. These drawings and sketches have surprisingly helped me push abstraction in a more free and loose way. Like gestures of the memory of a place or thing or sometimes neither a place or thing.. It just feels right and I am more excited than ever to be in my studio painting and painting, probably for the first time ever.. I am painting a lot of new work and I will share these here on my website in the near future. Come back again soon if you’d like to have a look. Making some studies for my next painting. This is a change of colour and mood from my recent work.. I am looking at the atmosphere in a different way and seeing where it goes.